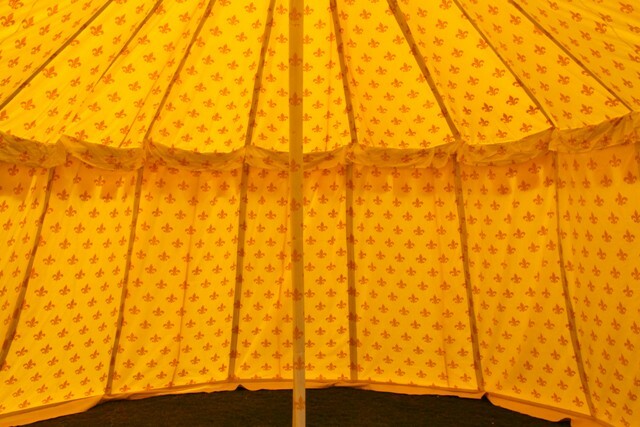 Namdhari Tent Manufacturers is acknowledged amongst pioneering Manufacturers, Exporters, and Suppliers of Oval Tents. 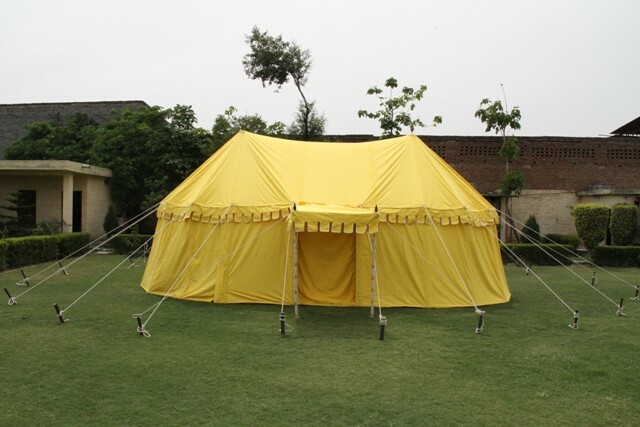 We manufacture Oval Tent with premium quality canvas that is sturdily stitched to provide life long service. 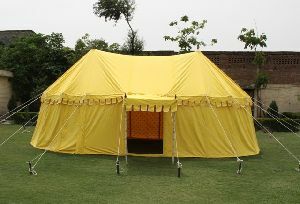 We manufacture Oval Tents in stunning designs, colors, and sizes. 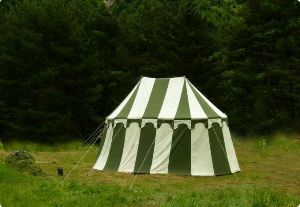 Last but not the least, we have been offering Oval Tent at competitive market rates. 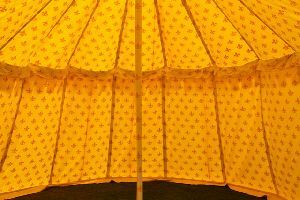 Tent Top : It is made up of two layers, Outer of water-repellent Cotton Canvas in natural color or (Red, Mustard Yellow, Olive Green, Navy Blue), with lining of plain cotton sheeting. 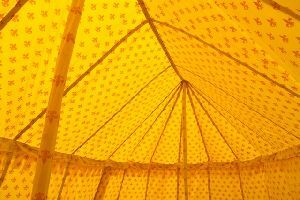 Walls : are made up of water repellent cotton Canvas on the outside and same lining of plain cotton sheeting as the ceiling on the inside. 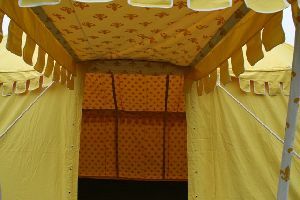 Iron pins are used to give the walls their slanting shape. 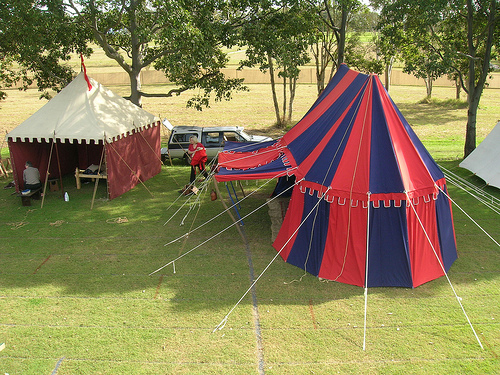 Accessories : Bamboo Poles, Cotton Ropes, Wooden Pegs, Wooden Pole Tops, iron pins. 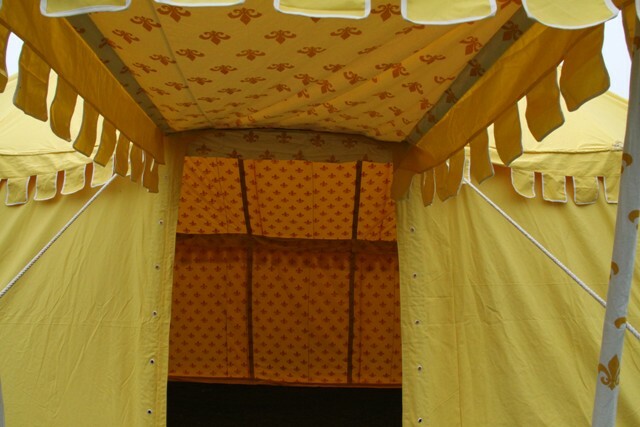 The Oval shape of this Tent is inspired from an Imperial Military Camp of the Middle Ages.